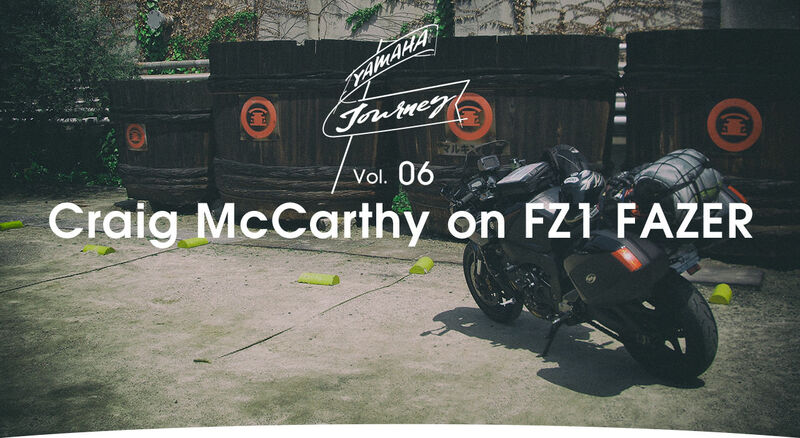 Yamaha Journey Vol.06 - Resonating Worlds | Yamaha Motor Co., Ltd. 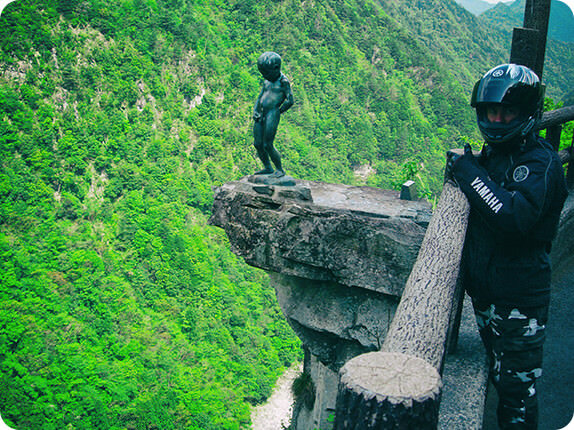 This is the story about Craig McCarthy's motorcycle travel on Yamaha FZ1 FAZER around Japan. 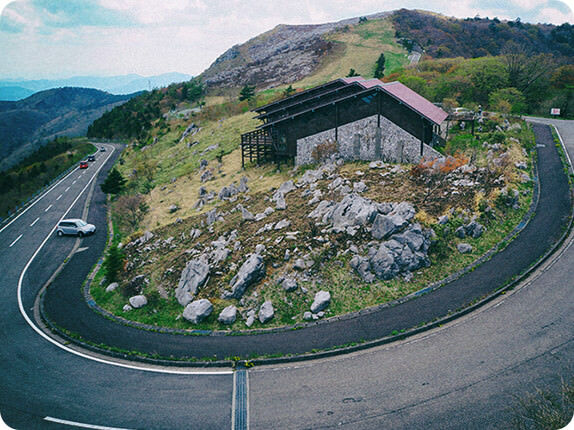 “The one place I just have to ride.” Japan through the eyes of Craig McCarthy. 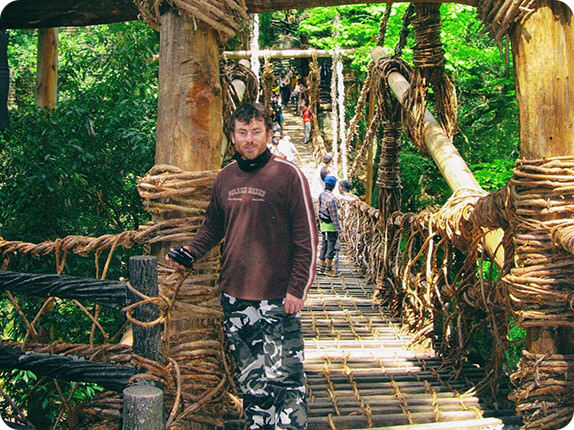 After moving here from Australia, Craig has devoted himself to touring through Japan, and discusses his three favorite routes here. A wonder among wonders. Elegant, unconquered and unmatched. Colourful koi ravining on the breath of age-old woods. From island to island, there is always time for Island hopping. 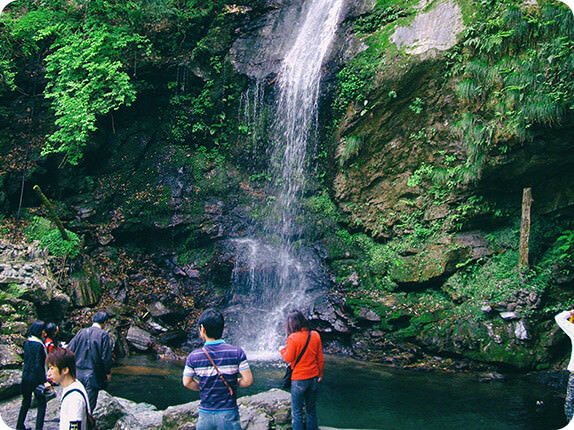 Where belief stands majestically tall ingrained in nature. 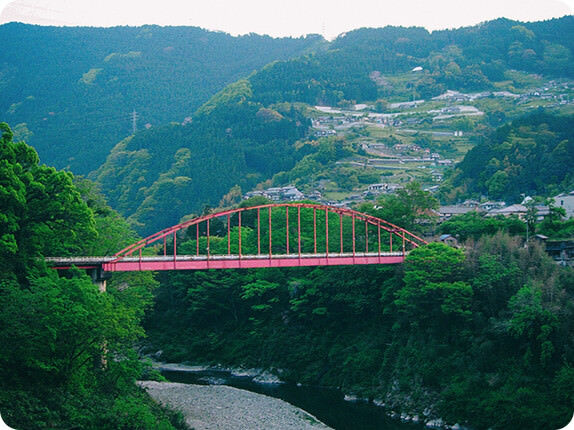 For me, Shikoku is a special place. 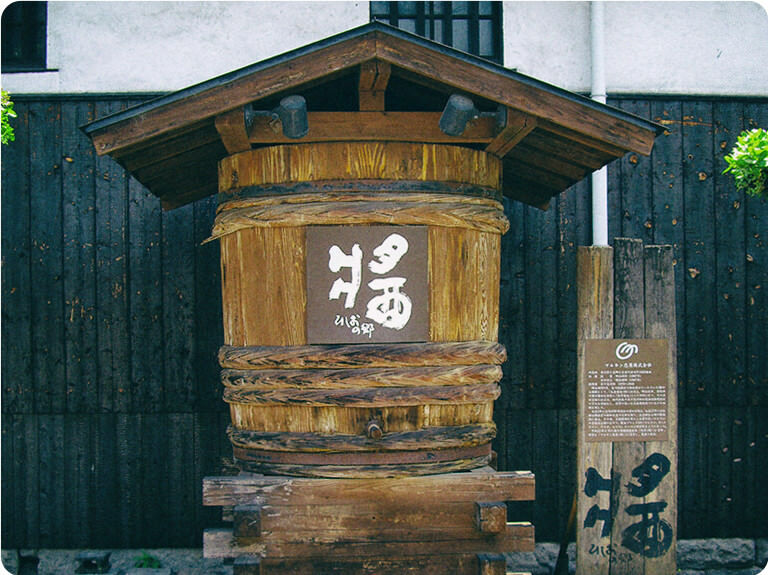 When we rode through Ehime prefecture in 2009, local farmers would come up to us and press oranges on us with a smile. 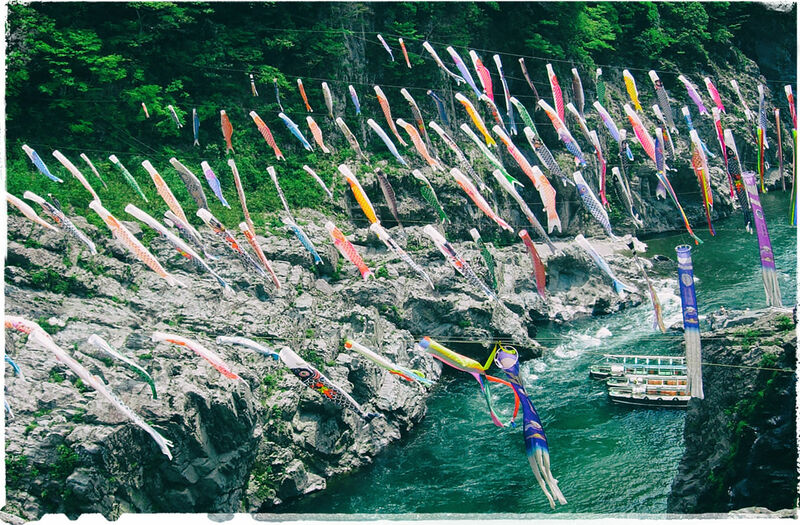 One of the wonderful things about Japanese people is the generosity they show to strangers. 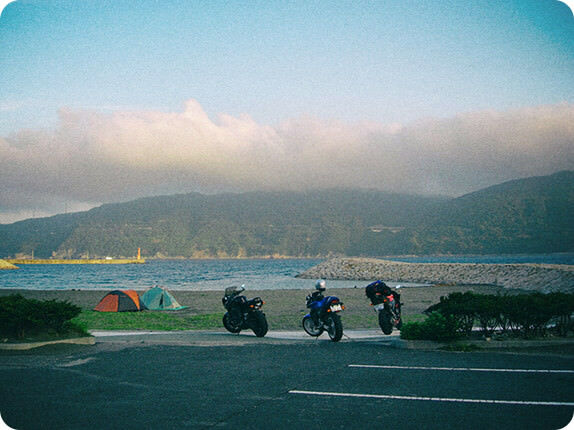 I love Shikoku, and riding is fun because it lets me take in all the wonderful scenery in the region. 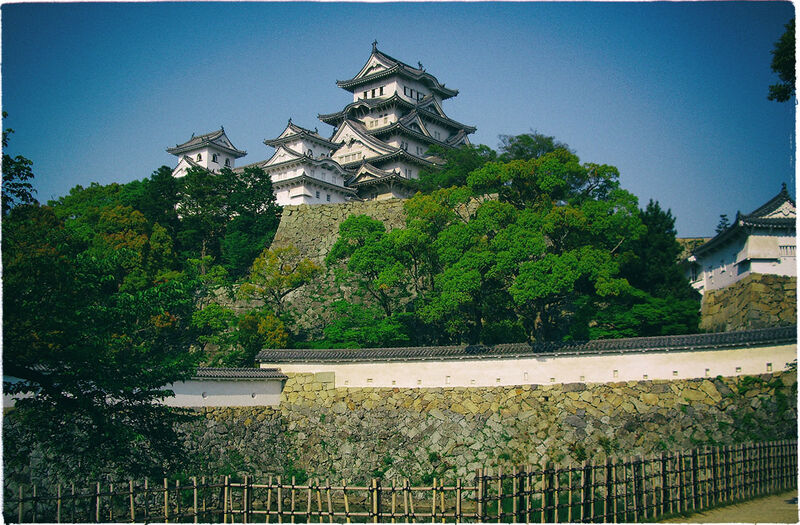 I chose to start my journey from Himeji Castle, the biggest castle in Japan. 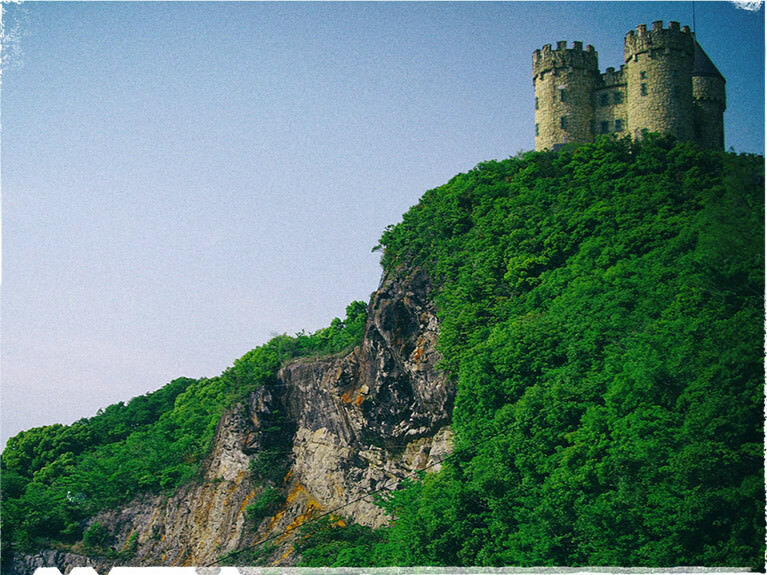 It is an extraordinary castle, having evaded burning and destruction to retain its original appearance for more than 400 years. 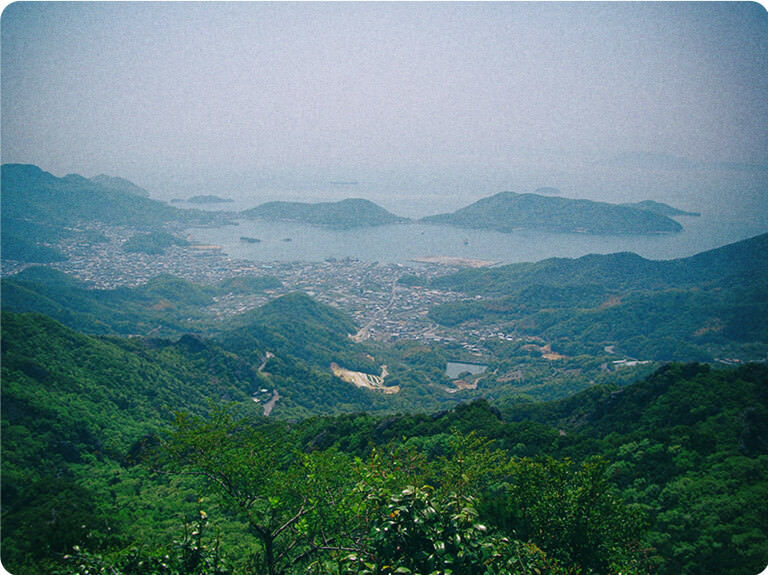 From the top level visitors can look out over the Seto Inland Sea across to Shikoku, making it a fitting place to begin my journey. An adventure about to start - in a way it is a step toward the future from a moment out of the past. I love this juxtaposition. 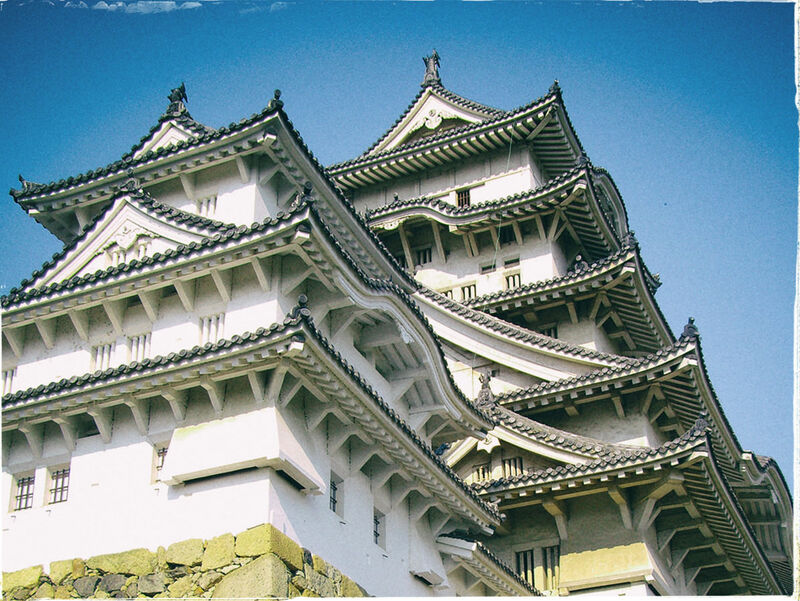 For an Australian like me, making this castle the starting point of my journey is a concept that grabbed me in that it is quintessentially Japanese. 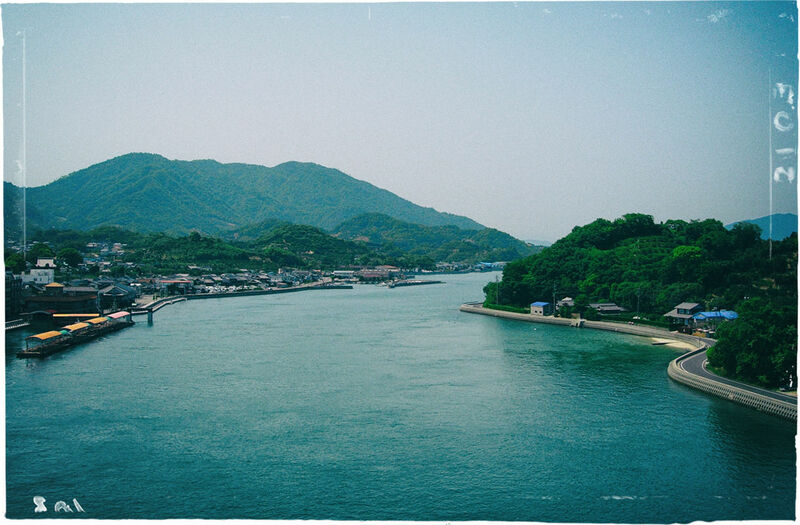 I took the ferry between Himeji and Shodo Island. 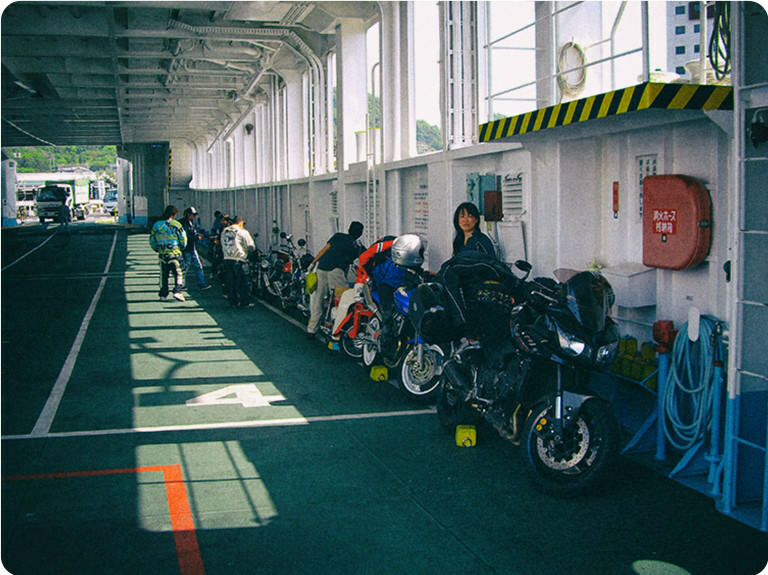 It was exciting for me to transport my bike by ferry as I had never tried that back home. In the process we passed a lot of boats, and the volume of people and freight traveling back and forth was a surprise. 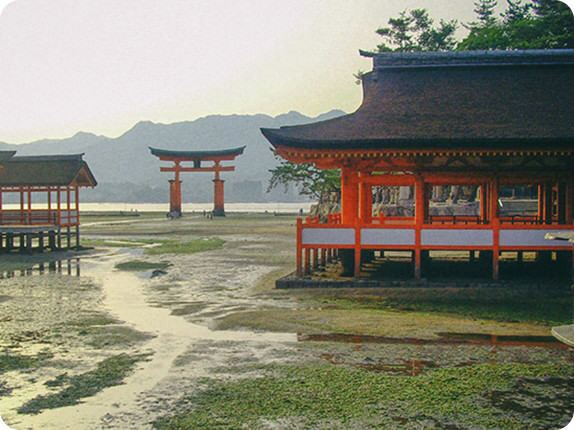 But for all the traffic on the water, Shodo Island was exceptionally quiet. 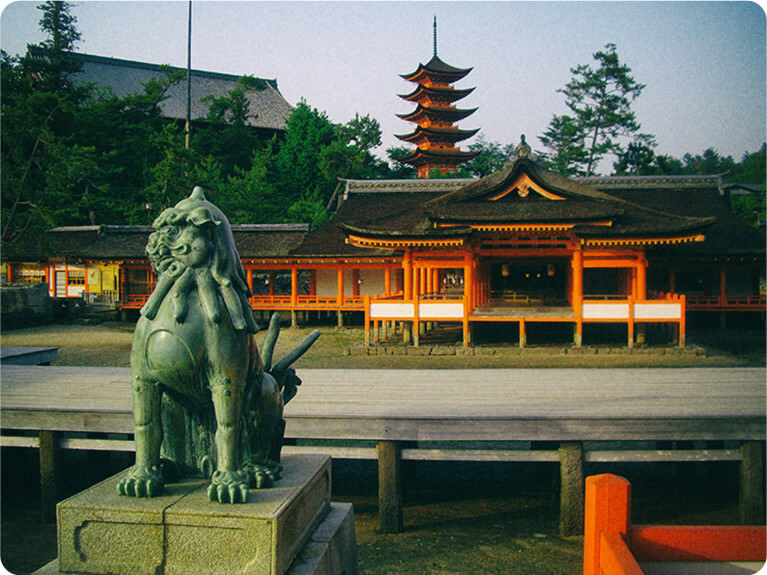 Home to both a soy sauce brewery and a sesame oil factory, the scent on the air differs greatly depending on where you are. I find myself charmed by this island. 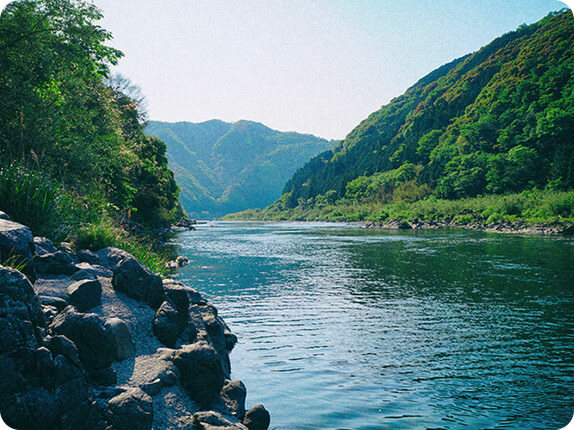 The beautiful blue ocean and plentiful greenery are a drawcard, but for riders, a big attraction is that being one of the driest parts of Japan, there is little chance of getting wet. The highlight though was the successive hairpin turns on the road that leads to the gorge looking out over the Seto Inland Sea - simply fantastic. Despite being a small island, it never got dull. 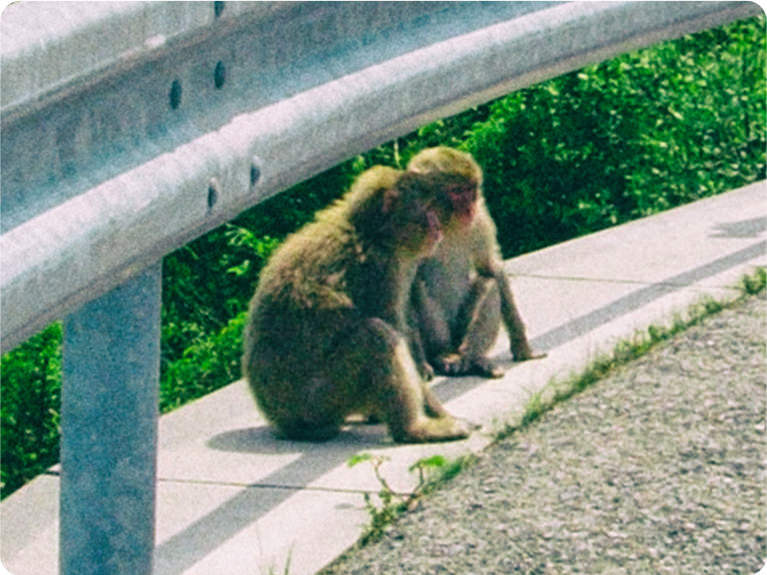 Having a chance to see wild monkeys added another dimension. 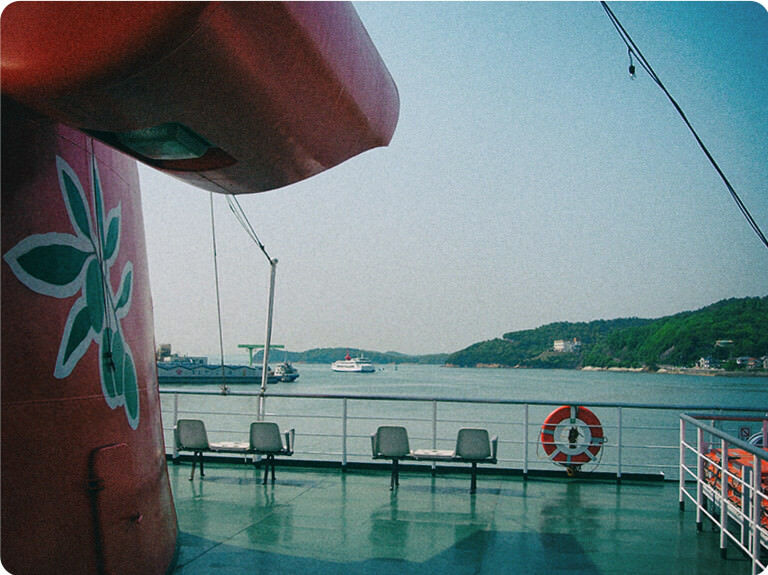 I made the trip between Shodo Island and Takamatsu by ferry too. You can't pass through Takamatsu without trying Sanuki udon. You walk in and they give you a bowl. The first person behind the counter fills your bowl with noodles and the second ladles soup over the top. Finally, you help yourself to the toppings. 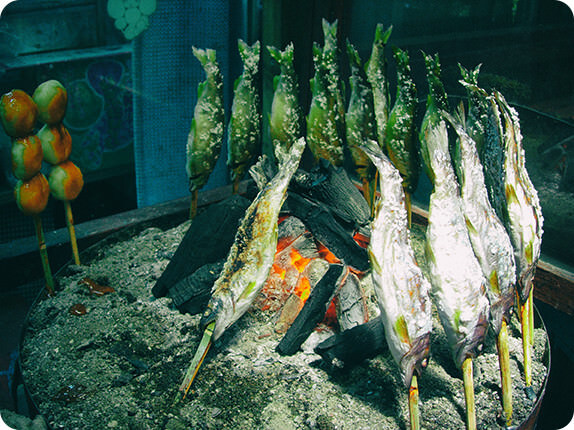 This process is free of embellishment – the idea is to simply enjoy your meal. And the staff members work with a smile, taking pride in their work. I love coming in contact with that kind of work and I am always moved by friendly service. 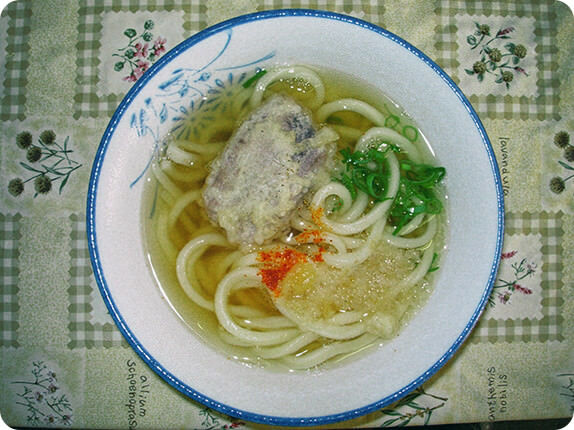 Sanuki udon is perfection in itself, but I felt that it was also flavored with the warmth of the people who served it. 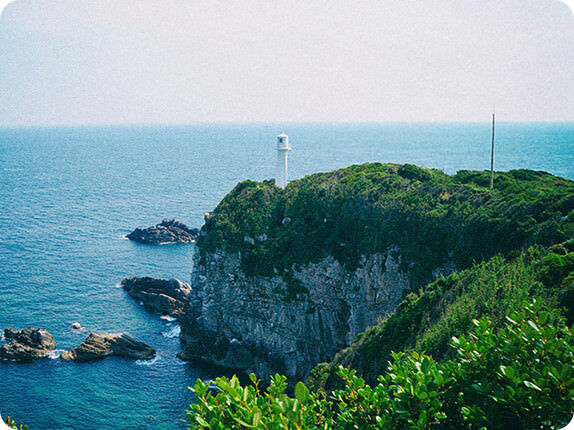 While there are places where you are reminded of human warmth, Shikoku is also home to locations that put you in a mystical frame of mind. 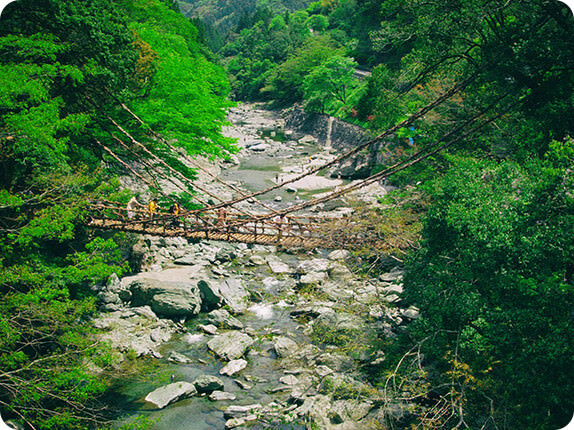 Of these, my all-time favorite is the Iya Valley. 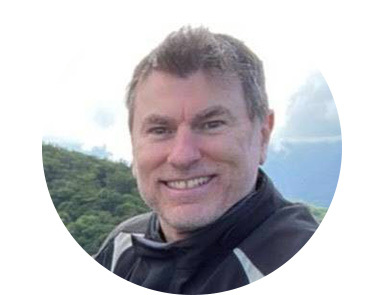 Once, when I was in an Australian national park as a child, I remember having the sensation that I was not breathing in the air and wind, but rather that they were coming from me - I experienced that same breath of life in the Iya Valley too. 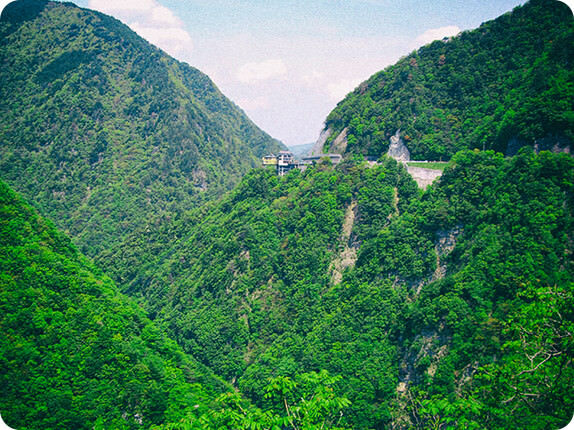 Here the roads run as if stitching the valleys together, and the views must be among the best I have ever experienced in Japan. 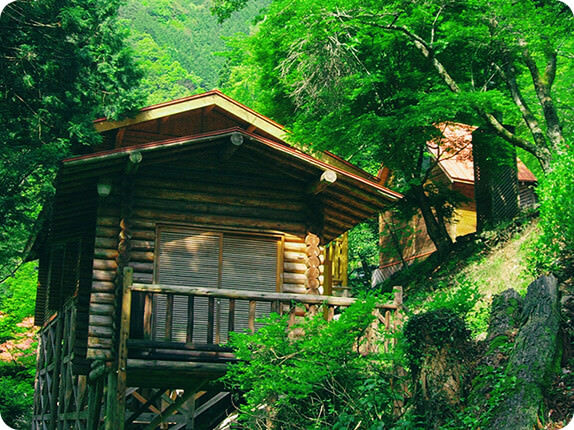 I am always struck by the beauty of the interior of Shikoku. Traveling the back roads from Iya Valley, I arrive in Kochi. 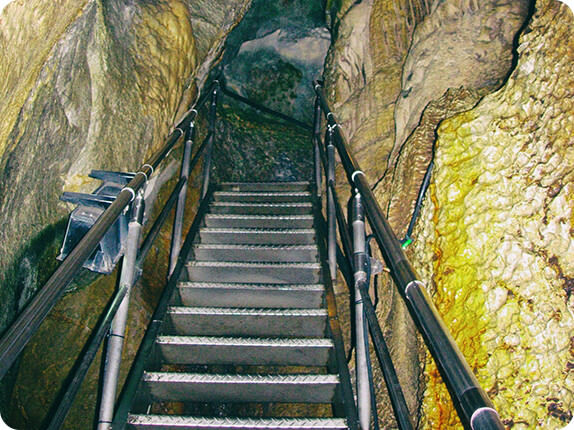 There are several sights worth seeing, such as the Kochi Castle and the statue of Sakamoto Ryoma, but my favorite of these is the awe-inspiringly large Ryuga Caves. 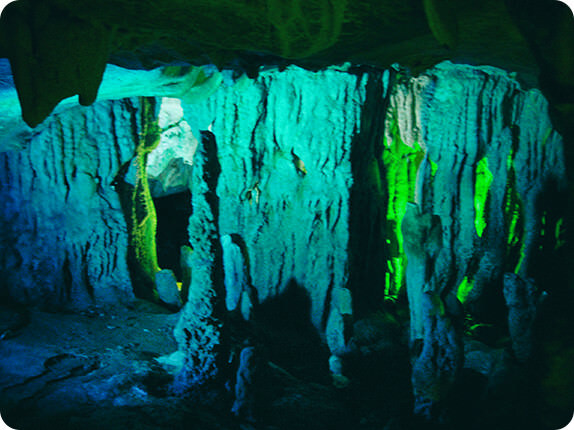 These caves have a long history. At the exit is a very interesting exhibition introducing the lifestyle of the cave people who lived here in tune with nature for generation upon generation. After the caves, I head for the low-traffic Ryuga Caves Skyline road. 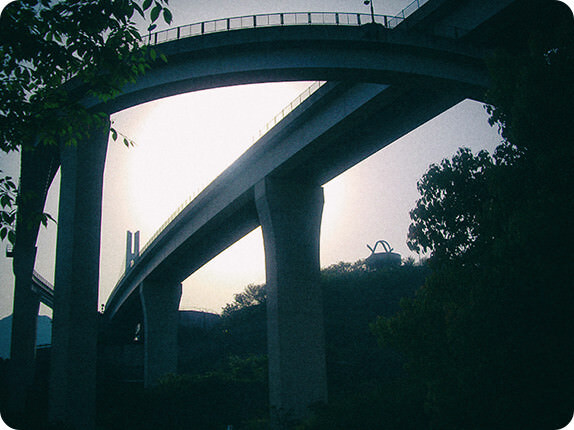 From there, I can look out over the Kochi cityscape. 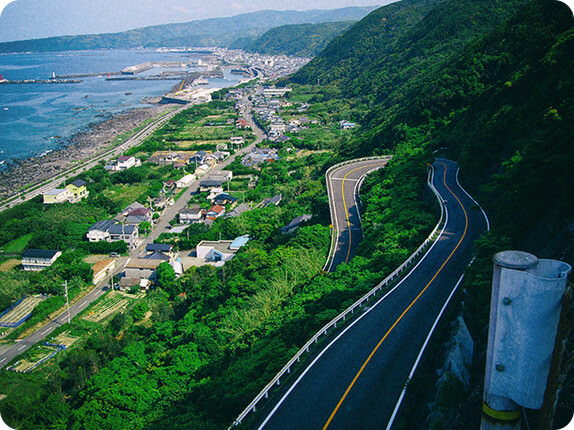 As well as this route, Kochi is home to a number of roads, such as the Yokonami -kuroshio Line, that delight riders from all over the world. 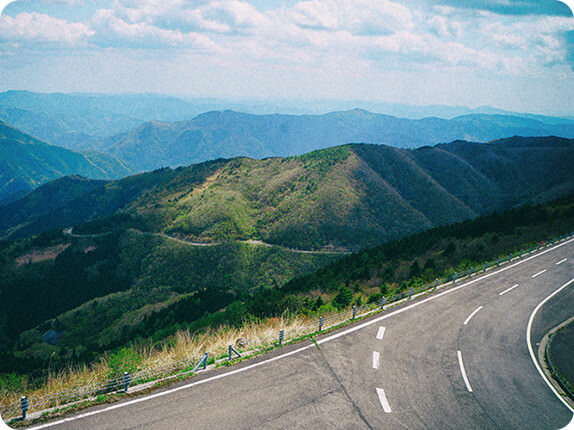 For me, a "good road" is one that has plenty of variety, and makes you start to lose your sense of where you are headed. 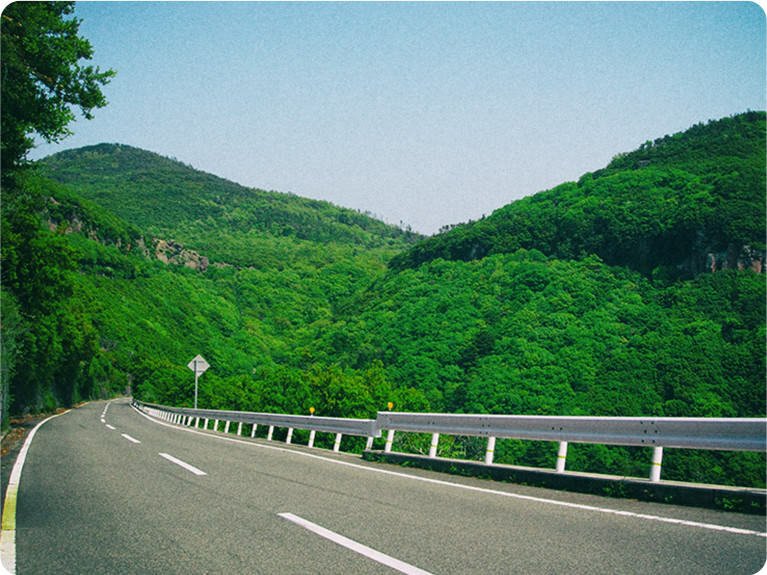 The charm of this kind of road is meeting with new scenery around each corner. Australia and Hokkaido, on the other hand, have lots of long straight roads. Although these have the appeal of being able to charge on through the big sky country, I prefer roads with change that demand physical action from the rider. 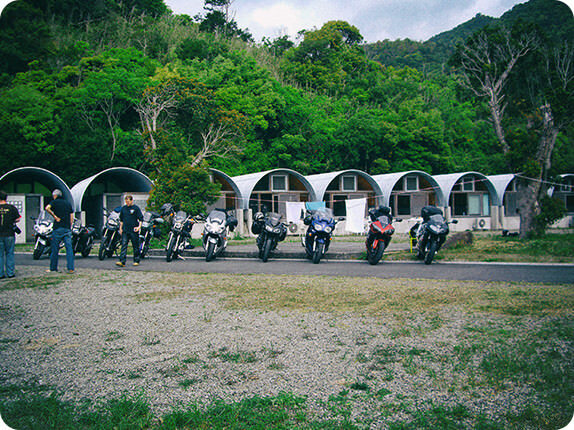 Another attraction for me on Shikoku is staying at the "Riders Inn Shimanto". 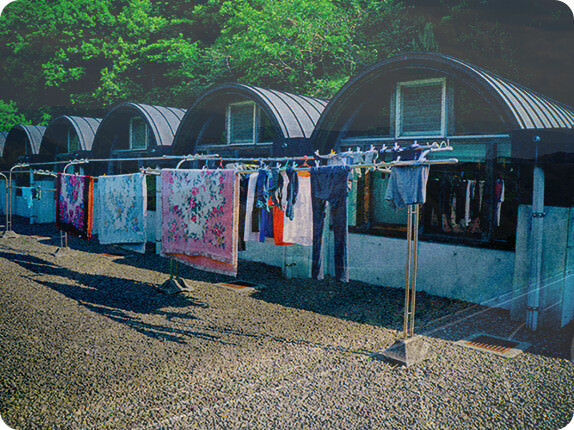 This is a facility for riders, and the accommodation is cheap. There is a shared refrigerator, kitchen and television, and in the evenings everyone sits around the hearth drinking alcohol and talking. If you are cooking in the kitchen you can be sure that someone will come and ask you what you are making. 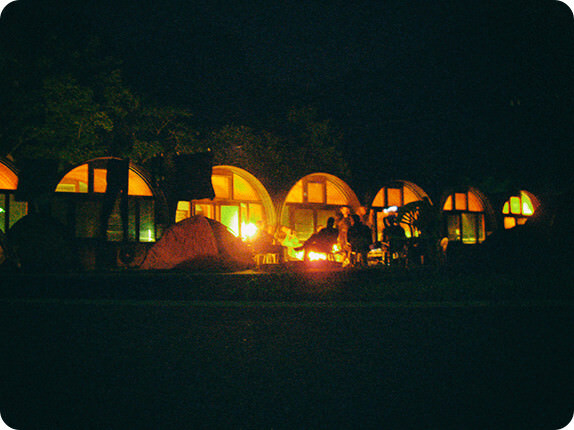 It is a place full of the warmth born of people enjoying each other's company. 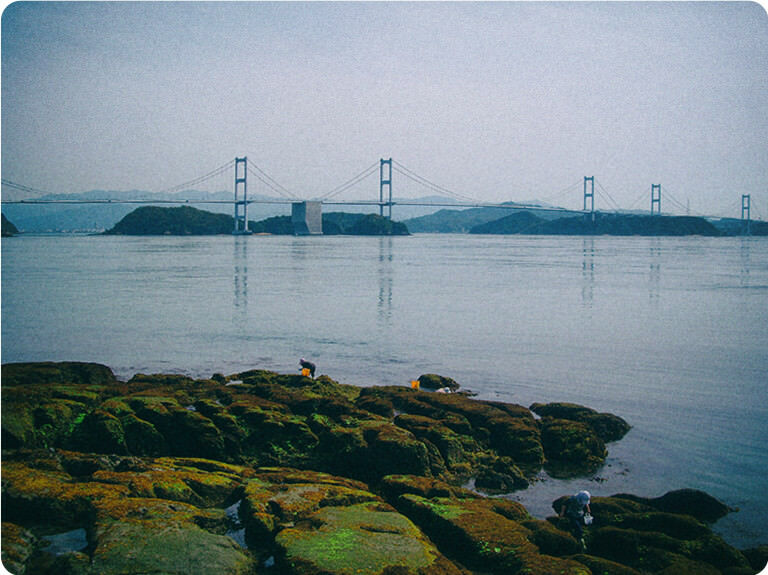 To travel from Ehime to Hiroshima, I journey over the Seto Inland Sea via the Shimanami Kaido Expressway (Nishiseto Expressway). On the path this bridge traverses, there are a great number of small islands and beaches to be seen. Some of the islands are completely empty and totally quiet. At times I do not simply follow the bridge, I ride around an island and then head for the next one. 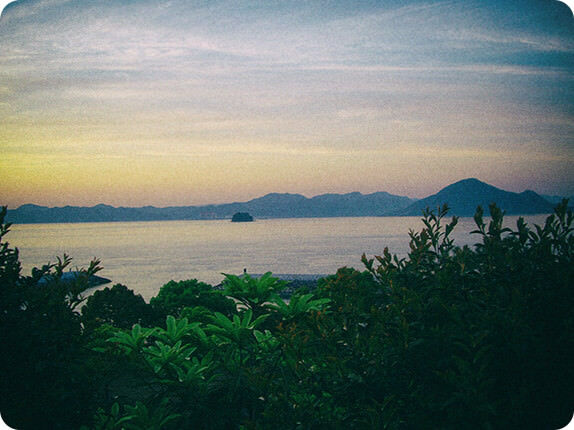 There are two places in Japan where the sunrise cannot be topped: one is Noto Peninsula; the other is here. This area is one that is fixed in my memory as a place I want to return to over and over again. 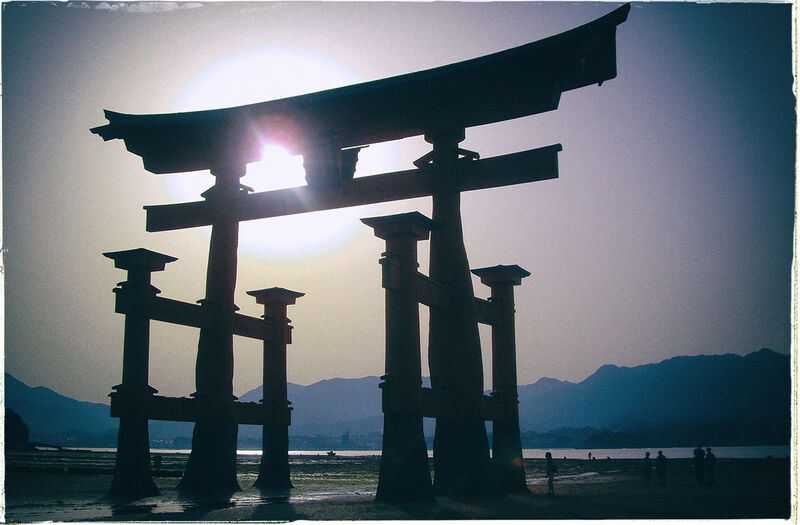 Finally, I arrive in Hiroshima and head for the beautiful Miyajima. In Hiroshima I enjoy oysters and okonomiyaki. This too, is something I always do. Before I go touring, I always do some rough research on the route and surrounding area, but I don't feel like I have to stick to that plan. Sometimes I might be rained out and unable to go anywhere, or I might be lucky enough to meet someone or come across something extraordinary, and then I think it is worth rethinking my plans and extending my stay. Touring is not a job, so having a good time is my priority. The trick to memorable touring is being flexible enough to improvise. 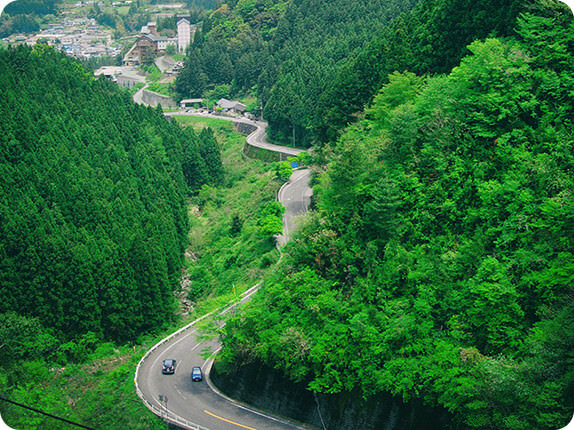 Coming from Australia, the endless winding mountain roads, sights and biking atmosphere of Japan struck me as something unique. 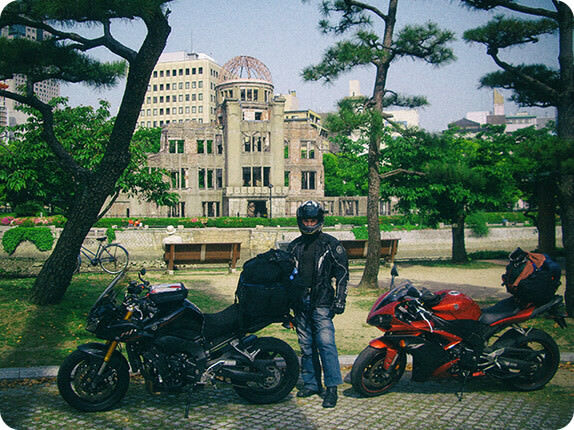 I've been riding in Japan for 11 years and toured 46 of Japan's 47 prefectures. 2 times a year, I embark on a 'big ride' and several times a year go for multi-day rides and I enjoy riding all year round! 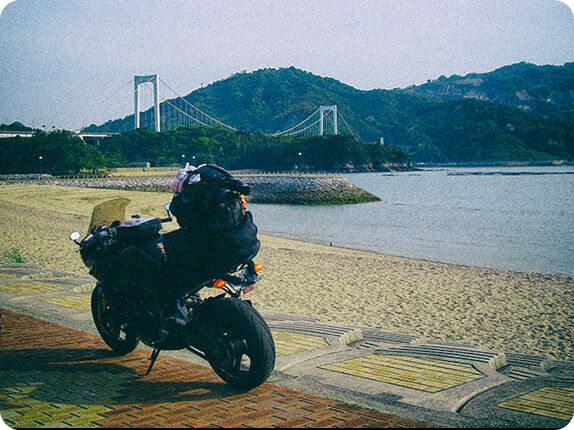 My Yamaha FZ1 FAZER has been with me since 2007 and seen the 4 corners of Honshu Island and been all through Hokkaido, Shikoku and Kyushu. 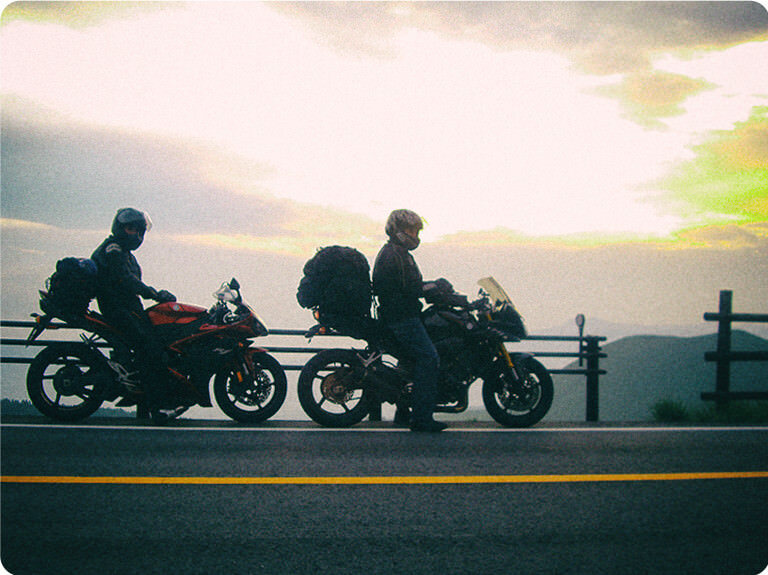 We've been circuit riding, drag racing, ridden through typhoons, over snow and found endless great roads in the homeland of Yamaha. I log my adventures at Touge Express and am the organizer of the annual Coast to Coast Twistybutt, Route-Master for the Tokyo Toy Run and occasional tour leader.